A beautifully decorated bone chine 8 Christening plate. 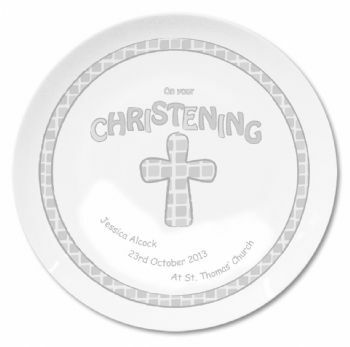 A beautifully decorated bone chine 8 plate that can be personalised with child's name, date and venue. With of up to 30 Characters of text for each one.